Starting from the second half of 2018, we have been assisting Blue, Hong Kong’s first digital life insurer in unfolding its first-ever digital branding campaign. 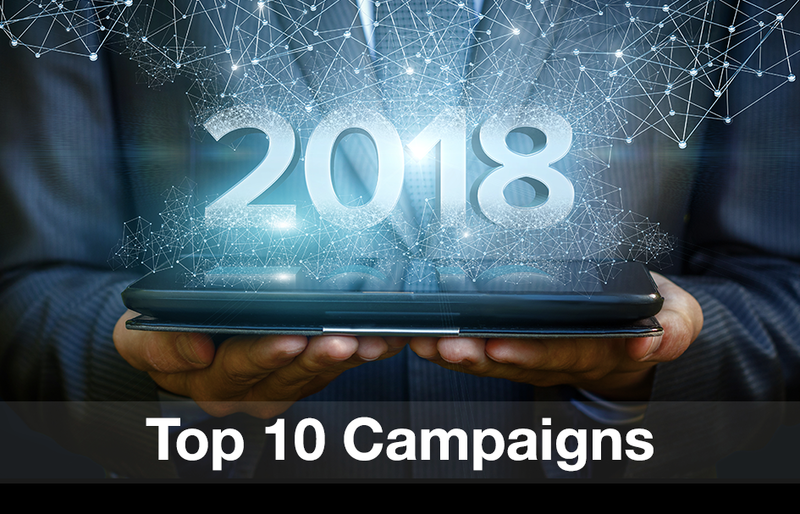 It is a highly integrated campaign, with touchpoints spanning social media, video production, website SEO, media planning that covers display, programmatic and search, HTML5 banner ad as well as innovation such as Cognitive Ad, the latest AI-enabled interactive advertising. This comprehensive marketing strategy gives the brand an opportunity to engage with a broad spectrum of audiences, which in turn generates traffic, leads, and drive new sales. Launching Hang Seng Credit Card Chat with DORI is another of our highlights in 2018. After a year of development with the client from concept to launch, DORI the AI chatbot went live on 11 January 2018. Short for Dining, Offers, Rewards and Interactive, DORI reshapes customer service by providing customers with a faster, simpler and more convenient service experience powered by artificial intelligence. In an effort to promote the Broadband Network’s expertise in the telecom sector and ultimately expand its fanbase, our team produced a tongue-in-cheek parody of Men On The Dragon. It is well-received with over 600 likes, 143 shares and 41K views to-date, fast becoming one of the most popular posts on the company’s Facebook page. We built presence for the extreme sports pioneer’s Macau Tower centre on Weibo and WeChat. We first lined up local KOLs for endorsements and reviews, then worked on facilitating quick mobile payments like Alipay and WeChat Pay. Apart from improving customer experience with seamless transactions, WeChat Pay users will be prompted to follow the AJ Hackett WeChat account, allowing the brand to strengthen its connection with the customer. Extra Mile is a community investment project collaboratively run by the Airport Authority Hong Kong and Social Ventures Hong Kong. Making use of user-generated and sticky content, we fostered the project’s digital marketing goals of notifying target audience of programme updates, delivering positive social values, making noise and bringing together different communities. We promoted Everyday Value, a combo launched earlier this year with Geo-targeting. This tool identifies potential customers and classifies them into different segments, allowing us to re-target ads on Google Display Network, Facebook, Line and Weibo accordingly with A/B testing. The campaign ran for three weeks and was a great success. The posh lifestyle approach is quite common among wine brands. Our Shanghai team took a different approach with Carlo Rossi by infusing playfulness and humour into its WeChat content. This tongue-in-cheek execution has helped the brand to stand out from its competition. Inside the vibrant online social space, each platform/app boasts major differences in terms of culture, usage and user preference. It requires distinct knowledge to fully utilise them as effective promotional tools. Take Facebook, Instagram and Wechat as example, our Hong Kong and Shanghai team work seamlessly together to foster comprehensive marketing solutions for Prince Jewellery and Watch using these platforms. With localised content and format, we are able to help the jewellery brand make an impression to different target audiences. We supported the promotion of Subway’s Beef Pastrami Sandwich by commissioning a video production with Uncle Siu British English Club, which generated some 516,000 video views, 11,000 reactions, 1,500 comments and 3,400 shares to date. We are thrilled to work with BCT Group this year, a major MPF product provider in Hong Kong that aims at raising brand awareness among young working adults online. We adopted an agile model, in which we identify and reinforce the type of feeds with the best engagement and performance based on Facebook generated figures. We plan as we go and fostered a series of exciting Facebook posts riding on the city’s hottest news and office-related tidbits. By identifying the right content for the right target audience with statistics, we are able to help BCT raise awareness and in turn, drive sales.